Do you want a say in infrastructure projects in your city? 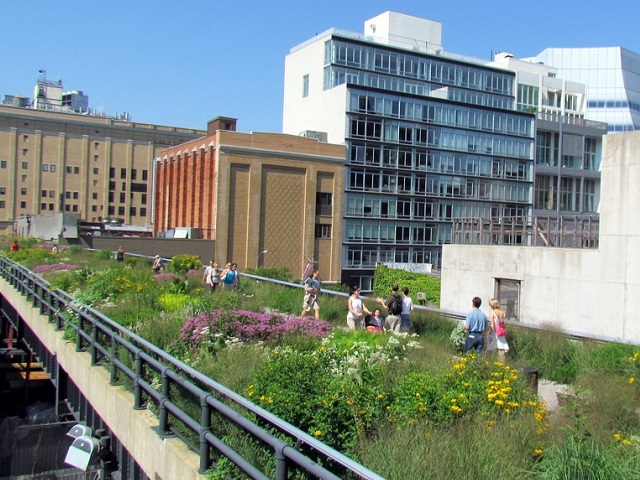 Crowdfunding can allow citizens to turn creative, sustainable projects into reality. Photo by David Berkowitz/Flickr. Here at TheCityFix, we love exploring the latest, most breathtaking innovations in sustainable urban development. And for good reason! Measures like São Paulo’s citizen hackathons, Medellín’s aerial cable cars, glow-in-the-dark road markings, and Hamburg and Helsinki’s plans for car-free mobility all serve as inspirational reminders that urban sustainability is not so unreachable a goal as was once thought. Such examples and countless others are evidence that there is no shortage of great ideas for the sustainable cities of the future. So, why aren’t we seeing a more widespread trend of sustainable mobility emerging in cities across the globe? Why are so many emerging cities inching closer and closer to car-centric development? While there are a number of obstacles to making sustainable urban mobility a reality, finance may be the greatest of these challenges. The World Bank has estimated that closing the infrastructure gap in developing cities alone requires US$ 1 trillion per year. As it stands, official development aid (ODA) – a key financial flow to emerging economies – only stands at US$ 135 billion. While governments and development banks have lofty strategies of their own to fill this finance gap, everyday citizens are also taking action to help build the cities they want to live in. Crowdfunding is a rapidly growing funding model that has recently expanded as a way to support urban improvement projects. A number of platforms promote citizen-designed civic projects to help them raise small amounts of money from many donors. Parks, gardens, and other urban beautification initiatives are some of the most common projects funded on these platforms, though several projects show the potential for crowdfunding as a means to fund much larger initiatives. In Rotterdam, Netherlands, citizens have used crowdfunding to fund a wooden footbridge that aims to be a catalyst for economic development in the region. In Glyncoch, Wales, citizens donated a total of £792,021 (US$ 1.31 million) for a multi-purpose community center. How can city governments utilize the potential for civic crowdfunding? More than 170 cities have already signed up to use Citizinvestor.com, a crowdfunding platform that raises money for public projects. Recently launched Citizinvestor Connect will allow cities to go further by creating their own platforms. This will allow cities to source project ideas from citizens, who can use the platform to raise money for an initiative that the government agrees to help implement. What role should crowdfunding play in our cities? By allowing citizens to donate small amounts of money to projects of their choosing, urban planning can become a more participatory and inclusive process. These platforms also open up a new source of capital for projects that may not otherwise be funded. However, civic crowdfunding also presents risks. While it can make planning more participatory, it may exclude citizens who lack the ability to make significant donations. Further, it is unclear whether governments will turn to civic crowdfunding instead of funding projects that should be paid for with public funds. Finally, most civic crowdfunding projects remain small, and it is unclear whether the model will effectively scale up. Still crowdfunding is gaining momentum around the world. While is it most common in wealthier countries, it also has strong potential for opening up new capital in middle and lower income countries. It is already growing quickly in India, where a variety of crowdfunding platforms are emerging to fund arts and business ventures. Crowdfunding is growing as a tool being used to fund a variety of projects, including investments in start-up companies, real estate ventures, and alternative energies. Still, these innovative funding models are early in their growth. In time, civic crowdfunding may help reshape our cities to be more sustainable and responsive to citizens’ needs and desires.